The Centre of Gene and Cell Therapy delivers research, teaching and outreach in gene and cell therapy, with a focus on rare diseases of the neuromuscular and central nervous systems. Scientists from the Biological Sciences, Psychology and History departments work closely together and with external partners to develop novel therapeutics for rare diseases including ataxia telangiectasia, motor neuron disease (ALS), muscular dystrophies and atrophy, spinal muscular atrophy and neurofibromatosis, but also for more common ailments like spinal injuries, Parkinson Disease, Alzheimer disease and bacterial infections. They also explore public perceptions and understanding of gene therapies including genome editing, and the history of rare diseases. For details you can use the "Researchers", "Publications" and "Projects" tabs above to browse the relevant information. 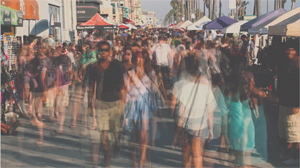 The research activity in the CGCT has been funded by numerous charitable and public organisations including Action for A-T, the Association Française contre les Myopathies, the Daphne Jackson Trust, the European Union, the Gilbert Family Foundation, Jesse's Journey, Muscular Dystrophy UK, Spinal Muscular Atrophy UK, Spinal Research, Rosetrees Trust, and others. Research has also been supported by Biotech companies like Sarepta Therapeutics, Benitec Biopharma and SynPromics. The academics in the CGCT teach undergraduate and postgraduate students in their respective areas of expertise. Much of this teaching concerns the human genome, inherited diseases and current developments in gene and stem cell therapeutics. 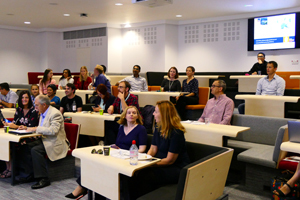 Their research groups host final year undergraduate students, and postgraduate students enroled in the MSc by Research, for their research projects. The MSc students in the current academic year are Julia Choromanska, Gabriel Jennings, Leoni Mahal, Ben Sadler and Chiara Sidoli. CGCT scientists have developed and participate in numerous outreach activities. The highlight in this area is the annual Royal Holloway Rare Disease Day event, aimed at A-level student visitors who enjoy lectures, a stakeholder exhibition including many associations of people affected by rare diseases, and several hands-on activities in the teaching labs. The researchers also visit secondary schools, like in the Biology Master Class. Beyond their teaching activities, the academics have prominent roles in relevant charities like the British Society for Gene and Cell Therapy (where Prof Yáñez-Muñoz is the Treasurer and Dr Popplewell is a member of the Board) and the Genetic Alliance UK (chaired by Prof Yáñez-Muñoz). 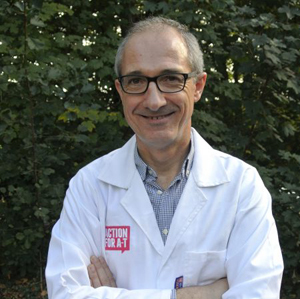 Finally, Prof Yáñez-Muñoz is the Editor-in-Chief of the scientific journal Gene Therapy. 28 Feb 2019 - Prof Yáñez-Muñoz is interviewed for The Naked Scientists podcast The common case of rare diseases. 28 Feb 2019 - Rare Disease Day 2019, Prof Yáñez-Muñoz publishes on Newborn blood spot screening in Guardian supplement. 17 Dec 2018 - Prof Yáñez-Muñoz is appointed Chair of Trustees of the Genetic Alliance UK. 01 Dec 2018 - Dr Popplewell & Prof Dickson receive large grant from Gilbert Family Foundation for neurofibromatosis research. 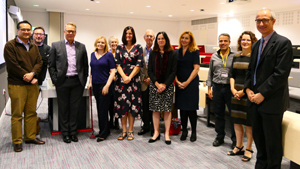 27 Sep 2018 - Launch Meeting of the Centre of Gene and Cell Therapy. 26 Feb 2018 - 8th Rare Disease Day event at Royal Holloway. 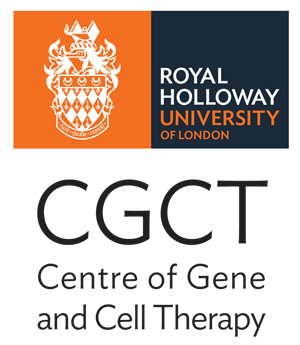 15 Jan 2018 - The Centre of Gene and Cell Therapy receives founding approval from Royal Holloway's Research Committee.